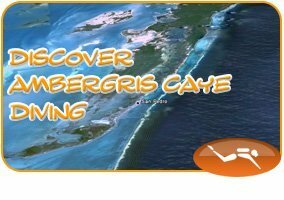 Ambergris Divers, following scuba safety standards, requires all certified divers who have not been SCUBA diving for a period of 2 years or more to complete a Refresher Course. Our Refresher Course takes you through diver safety, standard routines, and skills to get you tuned back to your diving mode. During this half-day course you will cover video instruction and briefings on basic but important theory. You will also complete a shallow water session to re-acclimate yourself with the dive gear, verify your weight requirements, and brush up on skills. 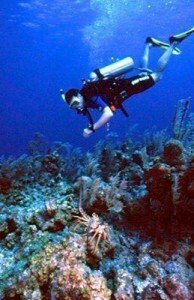 Then you will enjoy a 1-tank open water dive. 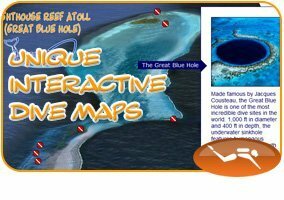 For the rest of your vacation, you will be qualified for any of the world-class dives Belize has to offer. Please note: certification must be verified. A refresher does not upgrade current certification to another level. Schedule: 9 am or 2pm. Course plus 1-tank Dive Experience takes about 3 hrs total.